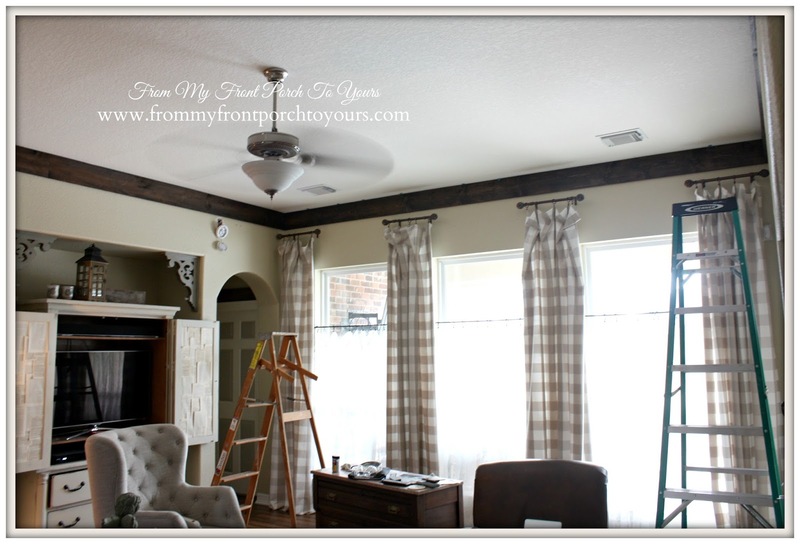 It has been a little over a week since I shared our plans of creating our own wood beams. Since then A LOT has taken place and I thought I would share a few pics of the process so far. 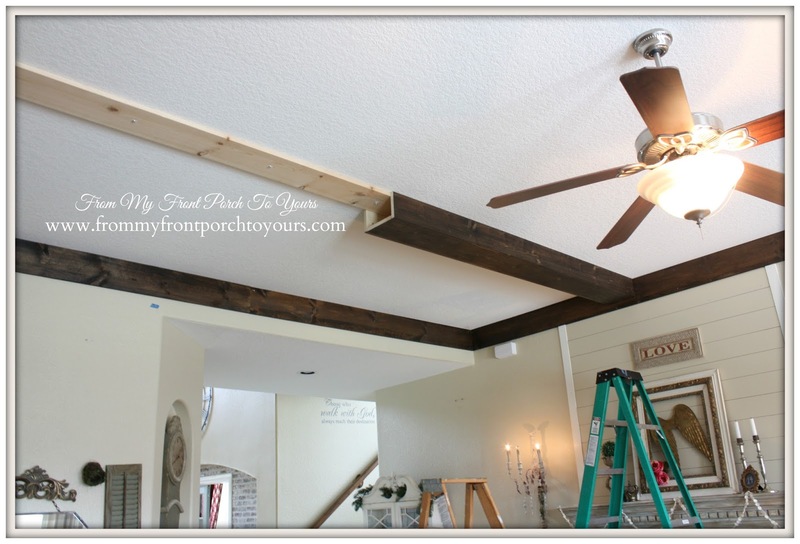 We had a plan on how we wanted to do the beams as far as how many and what not but of course like all of our projects after we purchased exactly what we needed, we headed back to the store....well Mr. Front Porch headed back to the store to return and purchase what we needed for our revised plans. 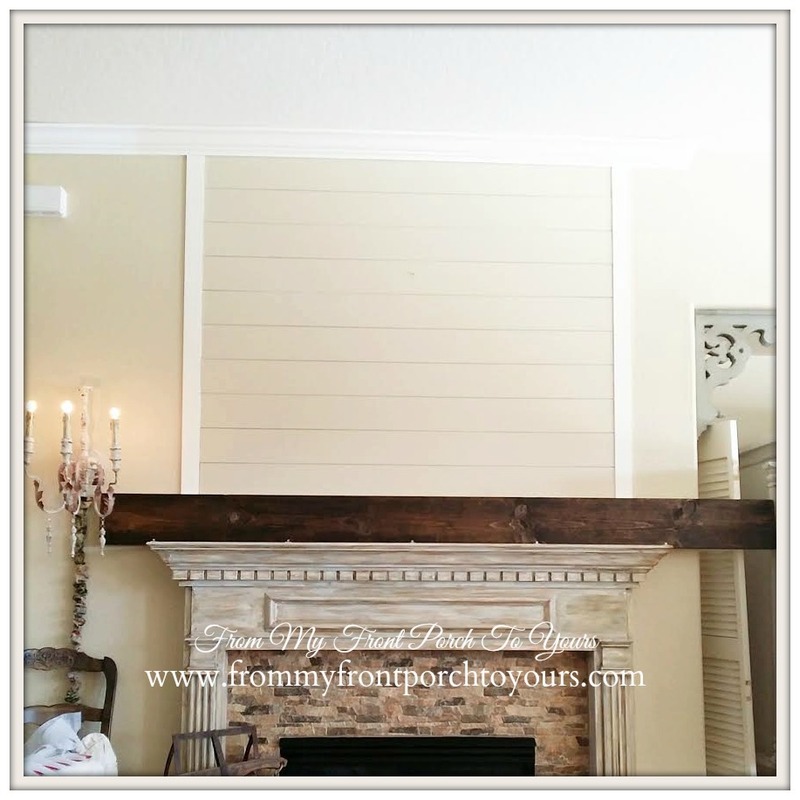 If you follow along with me on Facebook or Instagram I have been sharing our wood beam adventure as we go along. 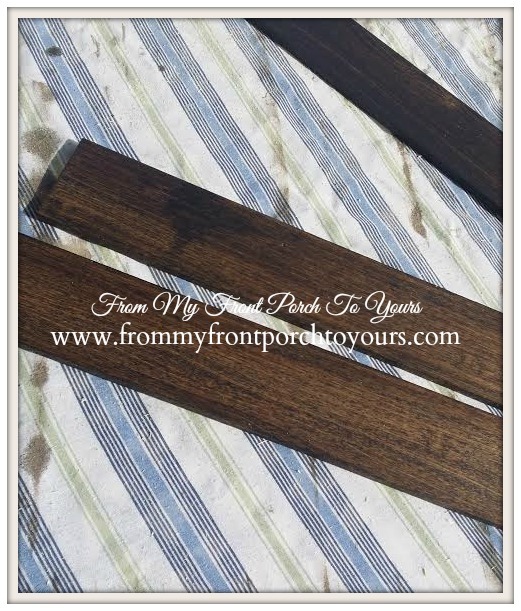 Here I am after staining and burning I forget just how many wood boards. I was just thankful that it was unseasonably warm that day and I was able to get them all completed. If you guessed we were going to be placing the beams in our living room you were correct! 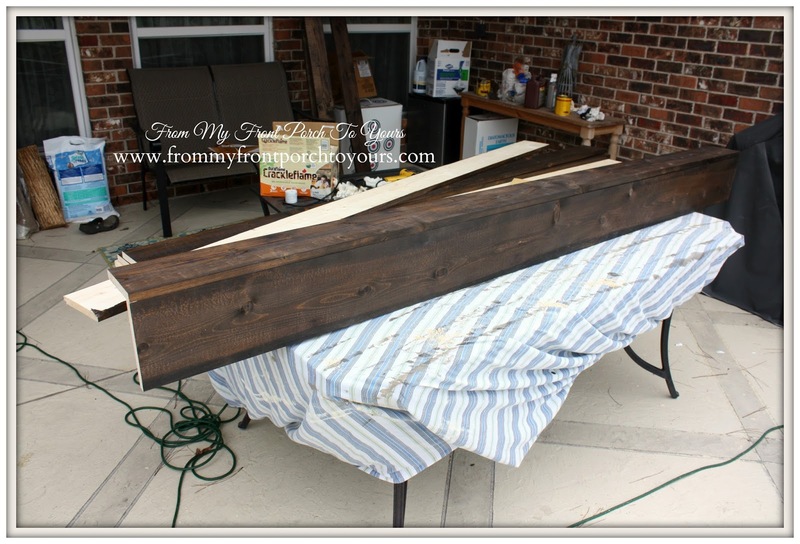 After I stained and burned the wood for the beams I was afraid I made them way too dark so I brought one in to see just how I felt about the coloring. Thankfully it looked just perfect with the glaze on the fireplace and rock tile. Once all the wood was dry it was time to start installing which involved a little deconstruction on the planked fireplace wall but that was not a big deal. We just used nails to put the boards up and no adhesive so it was super easy to remove and put back up. 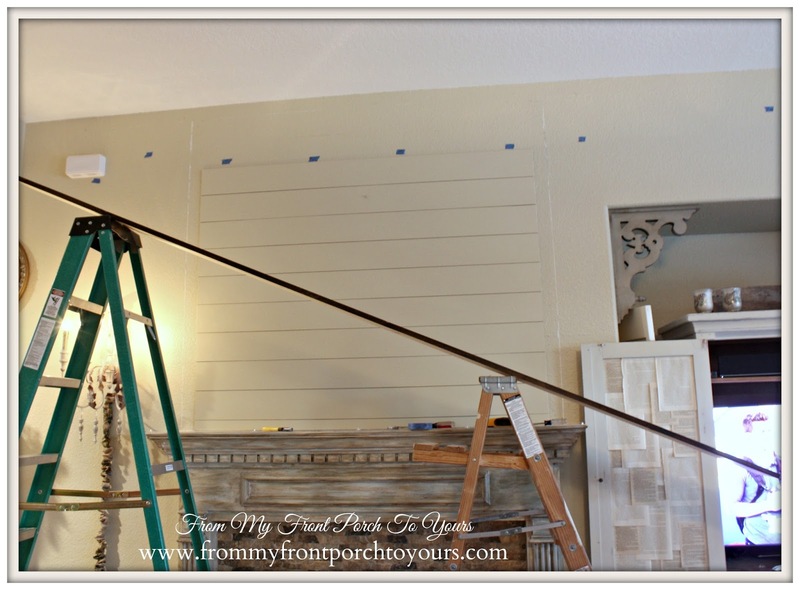 The only adhesive used for the planked wall was on the planks in the middle so it would support hanging things from it. Almost everyday after work Mr. Front Porch and I worked on placing the stained boards up to frame the entire space. By weekend number two, this past weekend, we were ready to rock and roll. Up went the supports! And then we installed them! Now all there is left to do is for me to touch up the nail holes and install the pieces we made to cover up the slight gaps there are. Yep, you heard me right we are almost 100% completed with this project! It has been one of the least stressful and quickest projects we have completed to date. So here is my question to you, would you rather see the reveal first or would you rather have me do a tutorial on how we built the beams and installed them and then the reveal post? Reveal first. I'll never try this myself! Pamela, The beams are going to be fabulous! I would love to see the reveal first. Reveal first please! The first thing I noticed was you wearing a sleeveless top -super jealous as we dig out from a huge snowstorm and freezing temps lol. The beams are going to look great. Reveal first!!! I can't stand the waiting! So pretty! So far so good! Great job girlie! Oh tutorial first PLEASE !!! We were going to hire someone to do this in the summer - but if I can manage to do them I would in a heartbeat ! reveal first, then the tutorial! I can't wait, it looks amazing already! Come to my house, I could really use some of these!! They look amazing! Reveal!! I just showed hubby since I have been talking about doing this forever!! Can't wait to see Pamela!! Reveal first....I can't wait to see them all up!! I can't wait to see the reveal! They are looking wonderful! They look great so far! Can't wait to see reveal! I can't wait to see the rest of this completed. Your so talented Pamela! I hope you give a tutorial on this project. 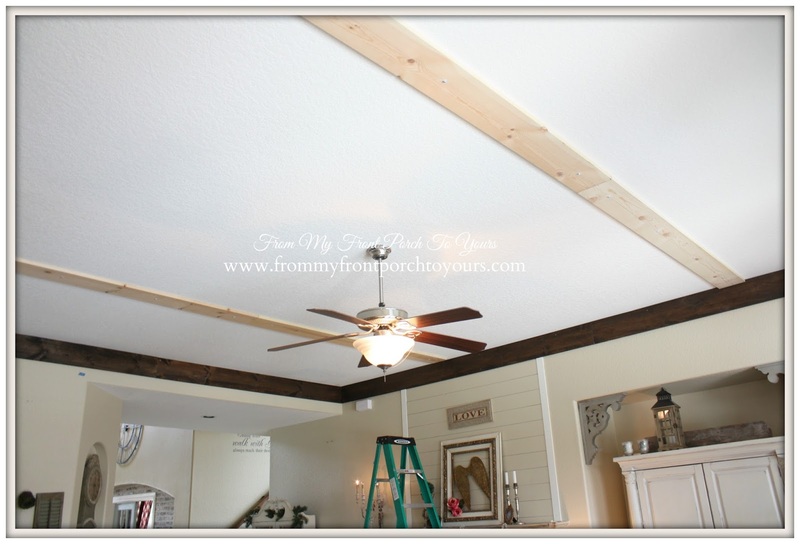 We are debating this or moldings on our great room ceiling. Have recessed lights to deal with Love what I'm seeing. 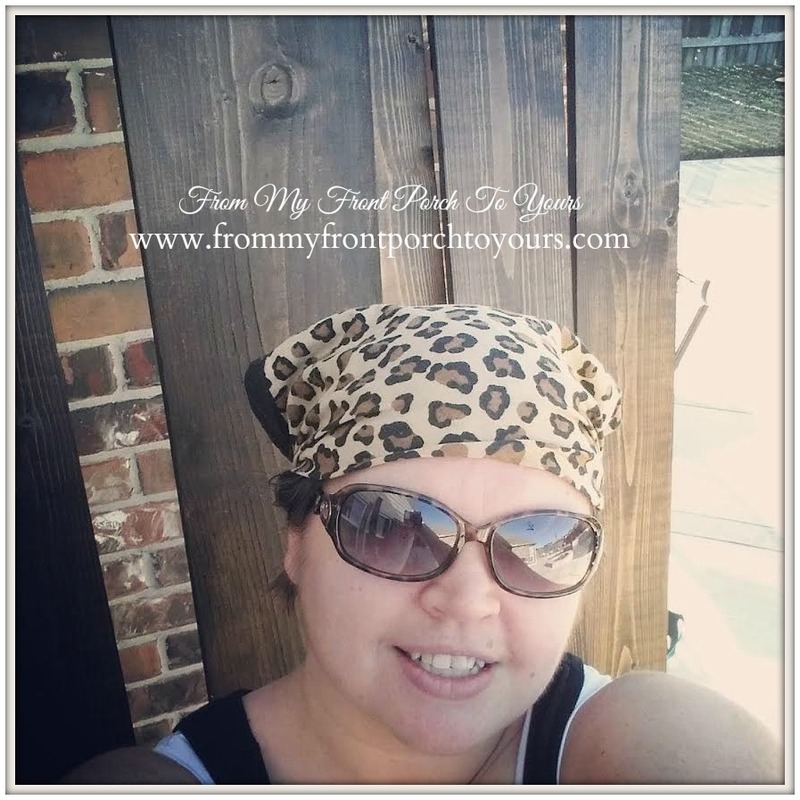 Can't wait to see the finished look, Pamela! It sounds like you had a plan and things went along pretty well. Oh the reveal first, "Dahling"! Then the tutorial! Thanks for letting us come into your home! I LOVE them!!! I also was looking at your walls and wondering what paint color you used?